The shelter vehemently insisted Rosie's mama was a Golden Retriever. We got Rosie's DNA results. In the meantime, the dirt on her nose? It's a clue! Have you entered our September giveaway? 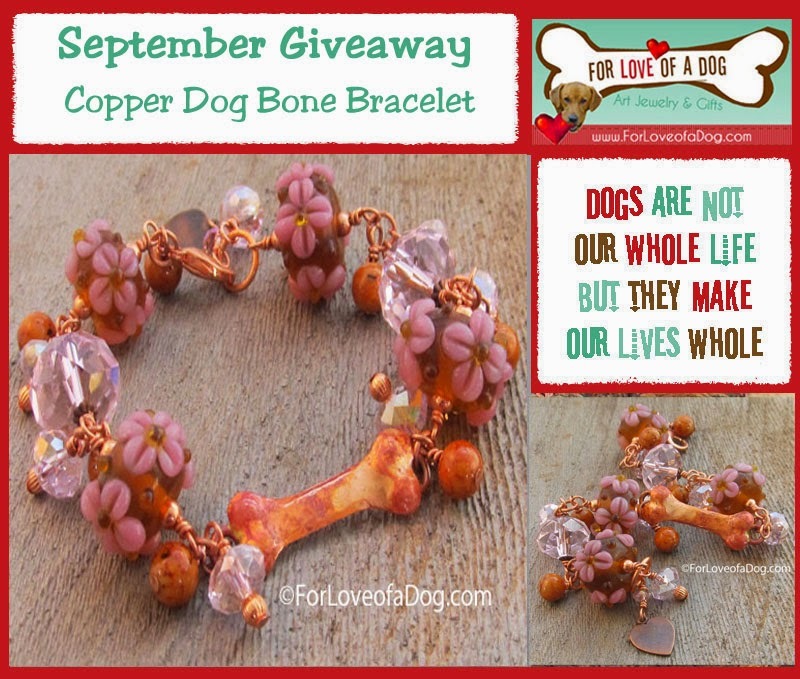 You could be the lucky winner of this dog lover bracelet! Oh dear Rosie, did a little terrier sneak into your family? I often have dirt on my nose! It seems to give my bipeds a clue about where my nose has been! Genes are not everything, you are very lovely Rosie what ever your genes are. Well, she's beautiful no matter what the DNA. 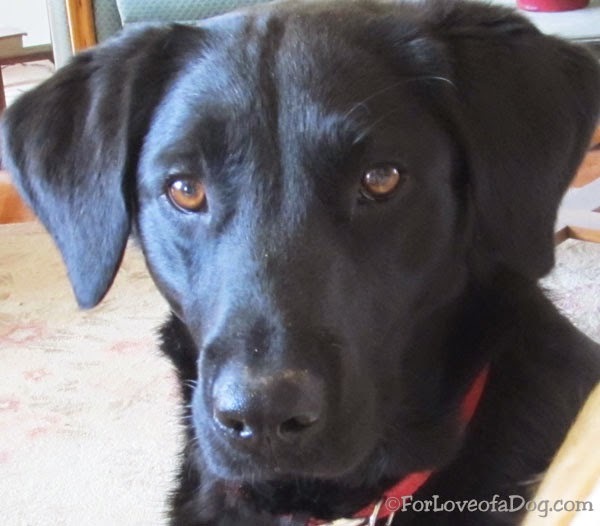 You are lovely Rosie, retriever or not! I think she is GORGEOUS just the way she is! Rosie, you look like a Lab to me. I'll be anxious to hear what the DNA report said. In any case, you are a beautiful dog. Dirt and genes. Do they have anything in common? Rosie is so cute!! That's funny they thought she was a golden retriever!! LOL Last night there was an aussie on the news and they kept calling him a border collie..
Beautiful golden black fur she has! I find these DNA tests very interesting. I can't wait to find out about Rosie's heritage. BTW, I'm not sure how these results are matched up. But golden retriever is not that old a breed. I wonder if you did the test for a golden if it would pick up on some of the older breeds that make up the golden heritage. Oh, interesting! Here we've thought you was a black golden! Hmmm. Dirt...Terrier?? Looking forward to hearing the results! Rosie doesn't look very Goldenish! BOL! Hmmm, a dog that loves digging? Can't wait to see the results. Oh, we can't wait to hear what's in Rosie's DNA! Our Lab mix Maggie looked a lot like Rosie, but she (supposedly) did have golden retriever in her, along with German shepherd and chocolate Lab. It sounds like Rosie is going to have some type of digger in her....terrier perhaps? Or maybe Doxie like Dolly suggests? Dirt on her nose, is she a piggy? I can't wait and you will probably tell all when I'm in canada with no internet.